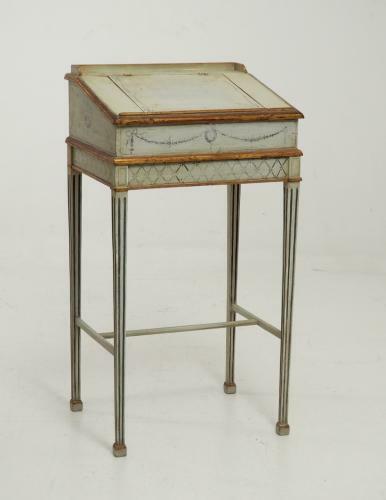 Swedish stand writing desk in the Gustavian style, from the 19th century. It keeps the original hand-painted decoration as well as the original external paint and gold leaf. Very rare.